The second edition of ‘Doing Business in the UAE Guide,’ a handbook covering basic information about the country and how to start your business in the area, was recently launched in London, UK. The book was launched with the support of the UAE Ministry of Economy and in partnership with the Institute of Export & International Trade, said a statement. 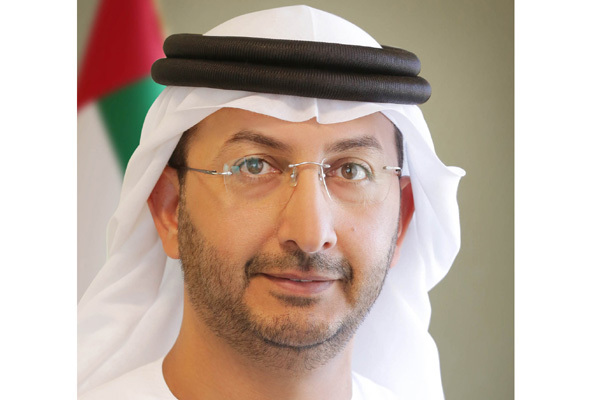 The guide is aimed towards giving stakeholders, investors, companies and business owners from the UK and the rest of the world, basic knowledge about the UAE--including an overview of its economy, culture of doing business, potential opportunities for trade and investment and best practices across various economic activities, it said. ‘Doing Business in the UAE’ also covers the key issues and challenges that foreign businesses and investors need to address, backed by essential information coming from market research, market entry, risk management and cultural and language differences. Further assistance for stakeholders is available from the UAE Ministry of Economy and the Department for International Trade (DIT) in the UK, it added. Abdullah Bin Ahmed Al Saleh, undersecretary for foreign trade, Ministry of Economy, said that the launch of the guide falls in line with the ministry’s continuing efforts to promote the country's economic environment and highlight its vision of development based on the move to create a diversified competitive economy that is based on knowledge and innovation, led by national competencies—highly contributing to the move to increase the country's attractiveness in terms of investments, economic activities and competitiveness across international markets. He added that the guide, which is now on its second edition, aims to serve as a useful starting point for business owners and exporter, novice exporters in particular--providing them an essential overview of the UAE's economy as well as the advantages, benefits, incentives and services that can be gained from the country's business environment. The guide is produced by International Market Advisor (IMA), a UK-based marketing consultancy and is available on the website: www.UAE.DoingBusinessGuide.co.uk, where it can be browsed, downloaded as PDF / e-flipbook or ordered as a full colour hard-copy brochure. It’s also available as a free app from the iTunes App Store and Google Play store. The guide covers key facts about the UAE's foreign trade relations - taking note of the fact that the UAE is the UK's largest civil export market in the Middle East and the third largest market outside of Europe, where only China and the US were larger in 2017. ‘Doing Business in the UAE’ also mentions that the UAE is the second largest Gulf economy and the 30th largest in the world, with the 20th highest gross domestic product (GDP) per capital ($42,000). Moreover, the UAE has made significant progress over other countries in the region, especially in its move towards diversifying its economy through the development of many non-oil sectors, such as trade, travel, tourism and real estate.